SINGLE ACTION – SIPHON FEED – EXTERNAL MIX. The world's most popular airbrush - recommended for all skill levels. 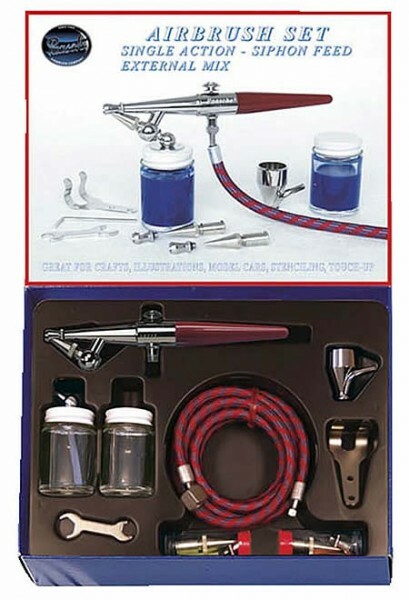 Sturdy and flexible, these airbrushes are dependable and adaptable for practically any hobby or artistic use. Requires an air compressor for operation, which is not included. See "Airbrush Compressors" category.